Asphalt shingles constantly age, which happens at a faster rate as they grow old. The most compelling evidence of deterioration is loss of granules, which are applied to protect the substrate from harsh ultraviolet light. While aging shingles are destined to lose granules eventually, certain phenomena can dislodge them ahead of their time. Hail impact is perhaps the most common. The force of solid precipitation dropping at high velocity from the sky would suffice to bruise asphalt shingles. Compared to roofing materials with enhanced impact-resistance qualities, ordinary products can quickly sport dark spots or cracks after a hailstorm. Blistering can also cause premature granule loss. Trapped moisture, caused by a manufacturing defect or an overly hot attic, leaves tiny craters in the surface of asphalt shingles after escaping. Steel, galvanized or not, is going to rust, causing it to corrode more quickly than other flashing materials. The more it wears away, the more vulnerable the area it’s supposed to protect. Damaged flashings, regardless of their location, need to be changed before they can suffer major leaks. Any roofing company would say that attic mold is a roof issue. It means the space has a high level of moisture probably because of the rising warm air that’s unable to escape due to inadequate ventilation. Mold growth can also appear on the outside, particularly in the place where the roof edge and sidewall meet. Without a properly installed flashing, water can easily seep into its gap, dampen the area and create an environment conducive to mold proliferation. Do you see unsightly spots on your ceiling or interior walls? Such stains are indicative of water intrusion. Rainwater and snowmelt generally can’t invade your home that easily, unless flying debris breaks a part of your roof in half. But when they do, it means a minor leak has gone under your radar for too long. You can expect the problem to get worse until its source is found and fixed. 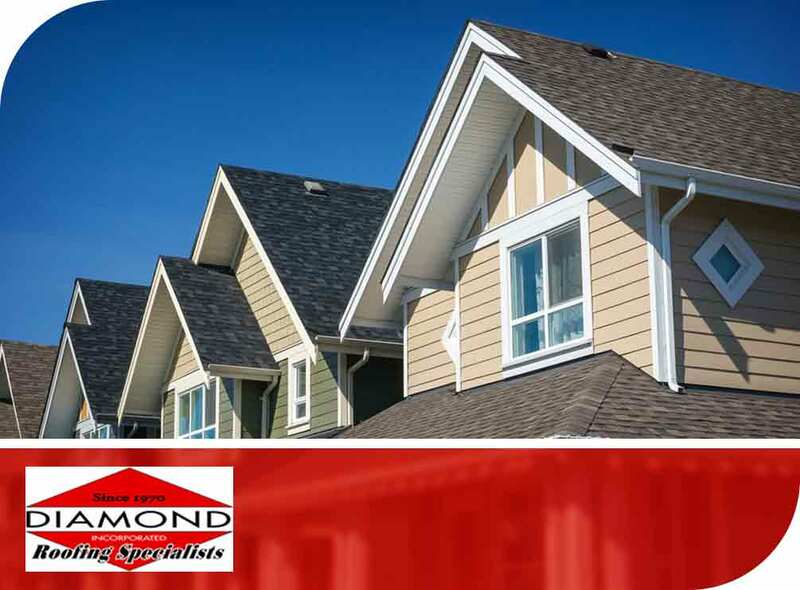 Turn to Diamond Roofing Specialist to discover and address hidden roof problems. Call us at (203) 303-4006 now to discuss your roofing needs in Watertown, Danbury, Waterbury or any neighboring CT community, and get a free estimate.